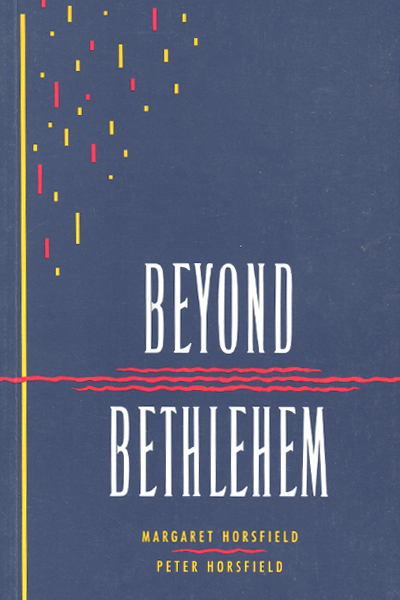 In Beyond Bethlehem Margaret Horsfield and Peter Horsfield delve into the roots of a story we think we know well: that of the birth of Jesus. They look beyond the Christmas-card imagery – the shepherds and the songs and the angels, the stars and dreams and wise men, right back to the deep origins of the story. In the Old Terament, they examine similar themes and tales and images, they find other flights into Egypt, other stars and songs and dreams. Using the best of Biblical research, they reveal in clear and accessible language how an enduring story grew, very naturally, out of such powerful and rich traditions. “It seems to be absolutely the right approach to the birth narratives…no-one will read it without profit.” —Dennis Nineham, Former Head of Theology, Bristol University and Warden of Keble College, Oxford University. Available on-line or by contacting Margaret.